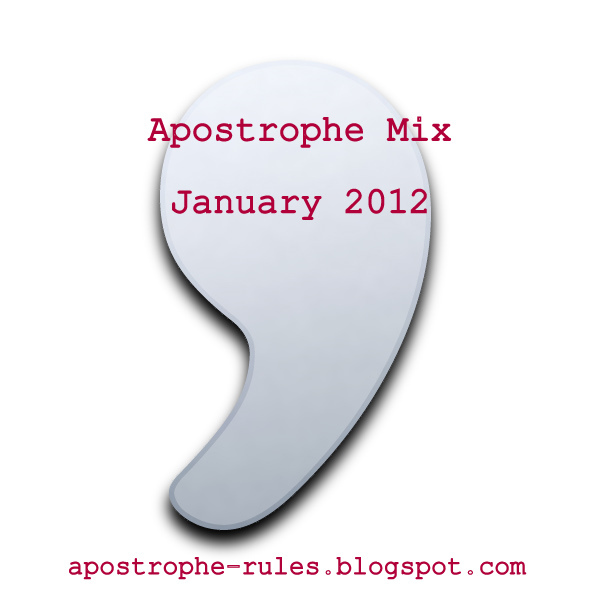 New music thing - the Apostrophe Mix! Every month, I will be making a mix of eight songs for your perusal on 8tracks! You can follow me there and listen to the mixes to your heart's content there instead of trawling through posts here. You see, I care. And there'll (you know, there will) be a page where you can listen to the mix for that month here on Apostrophe too. Great! Apostrophe Mix - January 2012 from EleanorRoscuro on 8tracks.